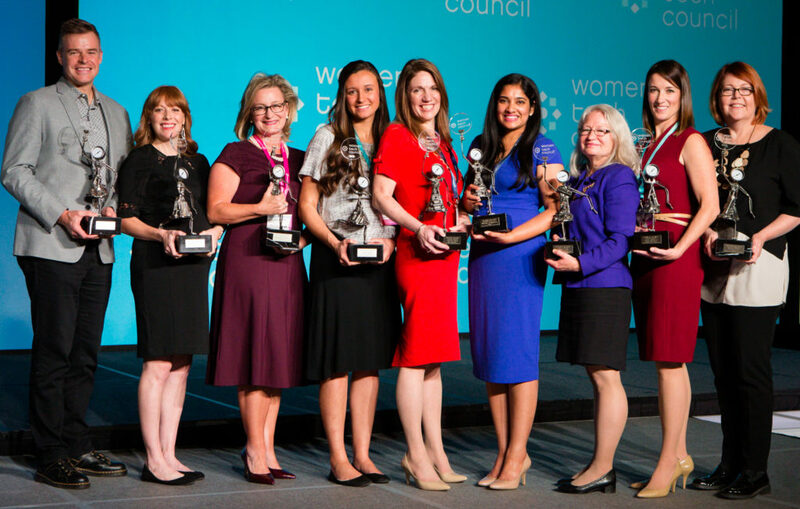 Women Tech Council (WTC) today named and honored the recipients the Women Tech Awards. Now in their 11th year, the awards recognize women throughout the technology sector who are trailblazing new paths, founding and leading tech companies, and building innovative technologies, tools and experiences. This year’s program honored 20 women, including 17 finalists, seven award recipients and three university students. Award recipients were selected for their impact on the technology industry and economy, as well as their contributions to the community. An undergraduate student was also honored with the Student Pathways award for their STEM-focused work. In addition to these award recipients, Vance Checketts of Dsco was also given the Legacy Award. The event also included a discussion by Lt. Governor Spencer J. Cox, Sara Jones of WTC and Tetro about how to help more women enter and succeed in technology. The discussion outcome was a challenge for all 1,200 attendees to introduce three women in their network to three male influencers within the next 30 days. Since the launch of the awards 11 years ago, WTC has recognized more than 200 women, including nearly 30 university students. The 2018 Women Tech Awards were held in partnership with Dealertrack, Dell EMC, Domo, Ernst & Young, Health Catalyst, Pelion, USTAR, Vivint Smart Home and Workfront. The Women Tech Council (WTC) is a national organization focused on the economic impact of women in driving high growth for the technology sector through developing programs that propel the economic pipeline from K-12 to the C-suite. WTC offers mentoring, visibility, opportunities and networking to more than 10,000 women and men working in technology to create business environments focused on high performance, where men and women can succeed. This propels individual careers and the talent pipeline by ensuring a strong, diverse, and entrepreneurial technology workforce.